About Product : Paper planes of childhood look edgy in their silvery metal forms... keeping memories of old times intact.. whereas the bamboo assimilates the nature at one place all in gold... These handcrafted pieces together are for the woman who is whimsical, nostalgic and classic all at the same time. Our first collectionsare inspired by the natural form of bamboo and its fibre pattern. Theseearrings are about Zenand balance - both for your style, and our world. We havetaken this theme further in collections made in crafted metal as well in jewellery inspiredby origami and paper-planes. The productshave been made by hand and may have slight irregularities that are a naturaloutcome of the human involvement in the process. These are for the woman who iswhimsical, nostalgic and classic – all at the same time. 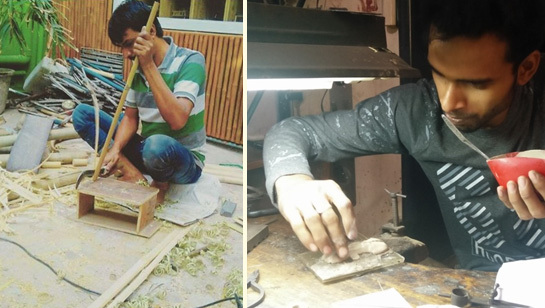 The processhas been a joint effort of our in-house team, and craftspeople from Ahmedabad’sold city. 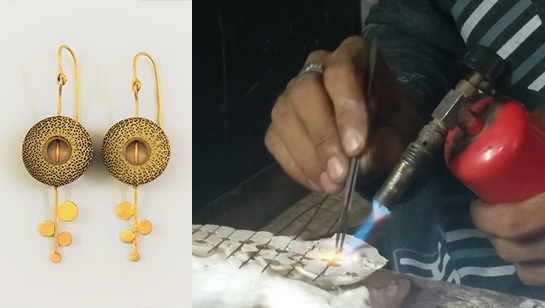 Manek chowk,where we work closely with our artisans, inspires us. It is a vegetable market in the morning, India’s secondlargest bullion market in the noon, and the street food market at night. Thiskind of flexibility inspires us to bring out the best in our labour-of-love – whether that be bamboo or metal. So far Rhizome’s workhas been in the realm of sustainability product design, branding, andcertification - mostly in the genre of decor. For awhilenow, we have been flirting with the idea of extending our work to thegenre of fashion. 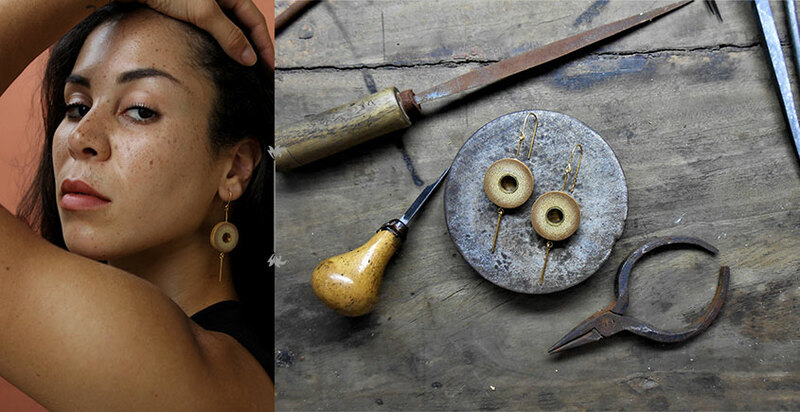 Our first offering is through our sustainable jewellery brandcalled Baka. 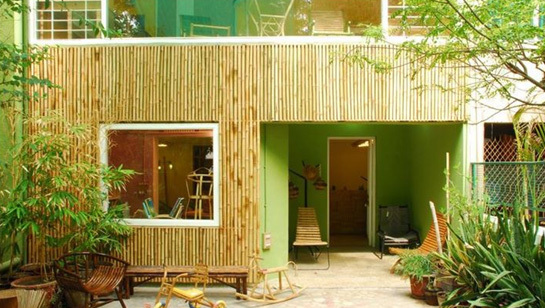 Rhizome is India’s first multidisciplinary sustainabilitydesign studio. We work at the intersection of craft, design and sustainability. 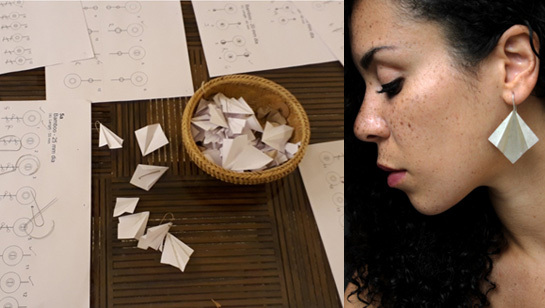 While most sustainability initiatives originate fromthe developed world, Rhizome’s approach is firmly rooted in the developingworld and its beautiful chaos and complexity. Sustainability is a compound picture made up of lots of beautifullycomplex, wicked and non-negotiable pieces which our designs work to integrate.Our designs are developed in collaboratively with a cross section of actors,including communities. This helps us look at all the pieces of thesustainability jig-saw—economic, social, cultural, and ecological—to designsustainable products with underpinning production to consumption systems. Rhizome’steam comprises both design and craft innovators led by Dr. Rebecca Reubens. Weco-create products, at the intersection of craft, design and sustainability. Note Goods once sold cannot be returned or exchanged. Care Please avoid contact with liquids and perfumes. Avoid contact with any abrasive surfaces to help reduce scratches. Please clean the surface with a mildly damp cloth. Our first collections are inspired by the natural form of bamboo and its fibre pattern. These earr..
Our first collectionsare inspired by the natural form of bamboo and its fibre pattern. Theseearrings..